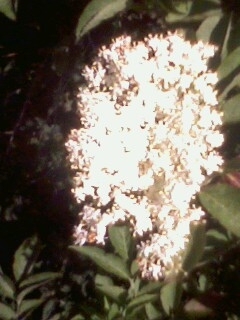 The beauty of the Elder is manifold. She carries umbrellas of dancing creamy lime flowers which are used to make a wonderful almost champagne like wine,They can also be washed and drained and dipped in batter then fried as a fritter in oil, and drenched with icing sugar, then served wih cream, a truly English taste,to go with the long May evenings. The berries, are of course wonderful, burgundy coloured and a curious sweet and dry flavour, which make an amazing preserve, and a very pleasant wine. The Bark houses all kinds of lichens, useful in Magic and as a dye. 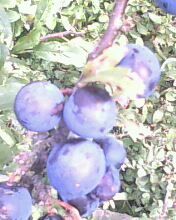 The Sloe is a bit of a decieving fruit........It looks plump, lucious and inviting,but once bitten into feels as if you have been chewing cotton wool, as it dries the mouth, and leaves a strange feeling around the gums and teeth. Inside its purply -blue plum like skin, is a green translucent flesh, which if you are not expecting it will give you an unpleasant jolt. 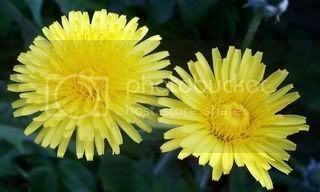 The dandelion, with its brilliant mane of yellow tufts has long been used as a direutic, relieving the body of excess water. from this it got is name of 'Wet the bed'. Children were told that to smell dandelions meant that they would wake up to damp sheets, but todays medicine recognises this quality as a powerful releaser of excess fluids, but only if digested. The roots can be dried and ground as a form of coffee and the leaves are excellent when young as salad vegetables , with a slightly bitter , almost peppery quality. The Dandelion clock, with its ball of fragile parachuting seeds, is of course and excellent toy for young children at a lose end in the countryside. Ask "What time is it,?" and blow the seed head, 1 o'clock' blow again , 2 o'clock, and so forth, until the seeds have all flown away. Gentle fun, but not quite so likely to be accurate. The Buddliea bush in my garden has been laden with huge, multiflowered spikes of blooms for days now, But this is the first sunny day that I have been around the garden to see it. There must have been forty Butterflies flitting and fluttering between the stems. There were Painted ladies, Frittilaries, Peacock butterflfies with the great blue and red eyes on their wings, and the carved tawny wings of a Comma, along with a few small moths and many bees, none of which stayed still long enough for me to photograph. 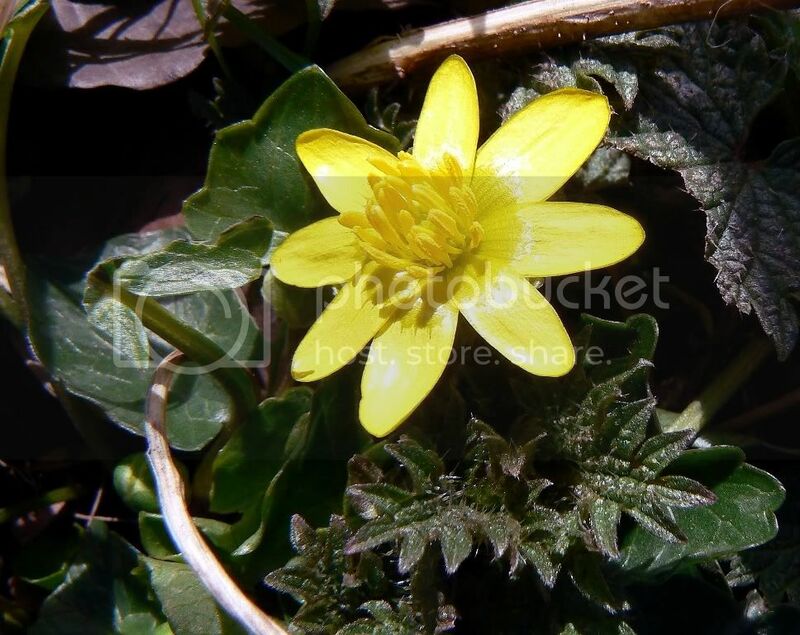 The beautiful, glossy yellow lily like flowers of the greater and lesser celandine are one of the first flowers of spring, They are found on stream and river banks , and in marshy, short grassed areas, usually in semi shade. The flowers start with the first sunny days of spring in late february, the starch filled nodules usually appear on the surface of the ground among the plants shallow roots, later in the year. They contain a starch like substance, and look like tiny potatoes or warts ; while they are edible, they are mostly too tiny for sustenence,and are used more to charm warts away. The best time to gather these is late May, when the flowers have died away,leaving the pink-brown nodules to be easily seen. To clear a wart, the nodule is split and dabbed on the wart, leaving a clear milky residue on it , which dries quickly.The wart gets smaller, and then eventually dissapears. A swarm of bees in July, isn't worth a fly. This week June 13th onwards, saw a swarm of beautiful yellow striped honey bees swarming in the hot afternoon, and coming to rest on the fence between my neighbours and myself. Amazing the fear that they can trigger, with one nieghbour standing on my doorstep, quivering and screaming "BEES BEES !!!!!!!! ", as if they were tiny killers. When I went to look, in the late evening ,the bees had mad a swarm mass about the size of a flattened football on the wooden trellis, between the honeysuckle and the roses. Apparently there were around 3000 of the tiny creatures, but they were minding their own business, and were attacking nothing, and no-one.They were however very close to a footpath, so reluctantly we called the local beekeepers society, and a very nice south african gentleman came to our door as night fell, with his beekeepers mask and white jacket and a smoker, which could direct smoke at the bees. I was fascinated by his gentle , direct approach, as he collected the bees into a cardboard box, and over the next two hours, transfered them to a nucleus box, ready for them to start a new hive. Some bees settled on my hands and neck, but did not even try to sting, so I let them climb gently onto my finger tips, and put them in the doorway to their new home. It saddens me that people like my nieghbour can spread fear and gloom and despondency, just by trying to make a drama out of a perfectly natural act of nature. I feel blessed to have been part of it. In my experience with all nature, it will only usually attack you if it feels threatened,or if it is hungry. This country has no native predators which can kill a human. 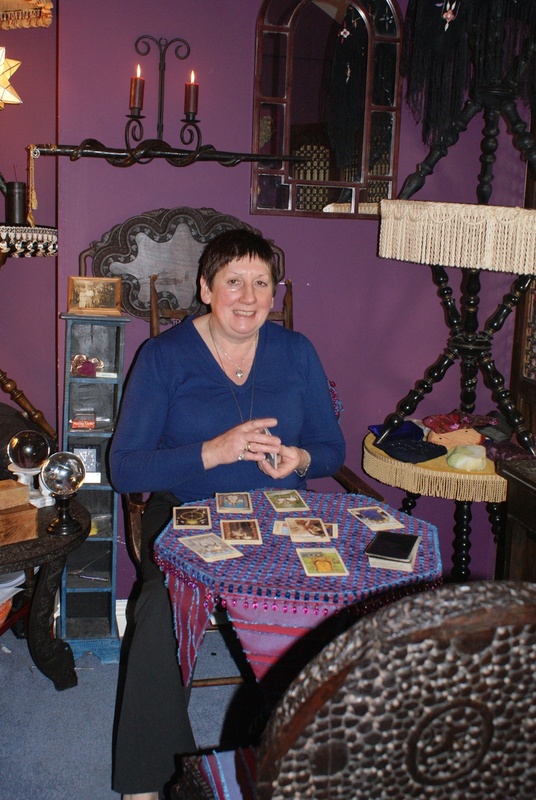 Live and let to live, as in the Witches Rede, and you will find that nature does you the same favour. 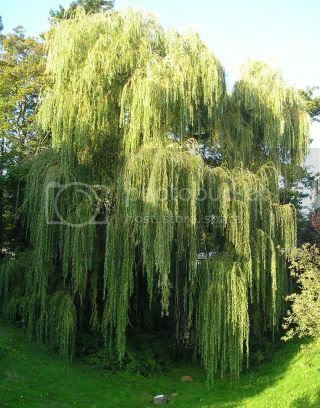 The willow family are noted through history as calming,healing trees. the deep pithy layer below the bark contains a medicinal element from which aspirin derives, which for centuries was used for pain relief. It is also a favourite tree for 'tree hugging'. An oasis of calm can be felt when resting with the spine resting up along the lower trunk, an attitude which also promotes meditation, providing the tree is in a position of calm, and safety. It is a favourite tree of hedgewitches, providing as it did, baskets, bedsprings,(a sheaf of loosely tied young growth, covered with bracken or straw) and medicine. The long-bow shaped leaves are easily recognisable, in all but the goat willow, an older strain of tree which has leaves which more resemble a young apple tree leaf, and slightly curved, upright spiky grey-green catkins. This willow is slightly less pliable than other strains, and is often found on long disused land, often near water, where it can grow into dense scrub.Another noted willow is the Crack-willow, so named after its ability to crack and fall especially when water laden in the high summer rains, it gives warning with an ear splitting, splintering cracking sound,(Best heeded swiftly,as the branch falls almost immediately afterwards) it grows next to running water,where the fallen branches are carried along on the rivers current, and sprout where they come to rest, propagating the tree. Many rivers in europe are edged with its beauty. 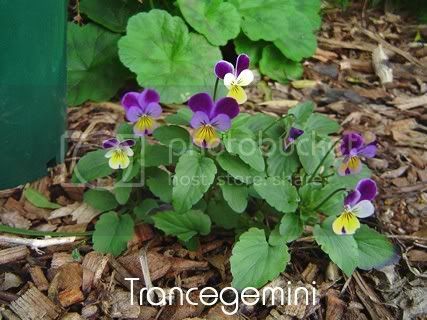 This little wild pansy is no larger than a voilets flower, around 2cms deep, Usually the flowers are purple upper lobes, and pale yellow lower petals striped with downward brown streaks. The name hearts ease comes from the properties of the dried infusions from leaves and petals, which stop heart burn, and in the olden times were believed to counter the effects of heart problems. 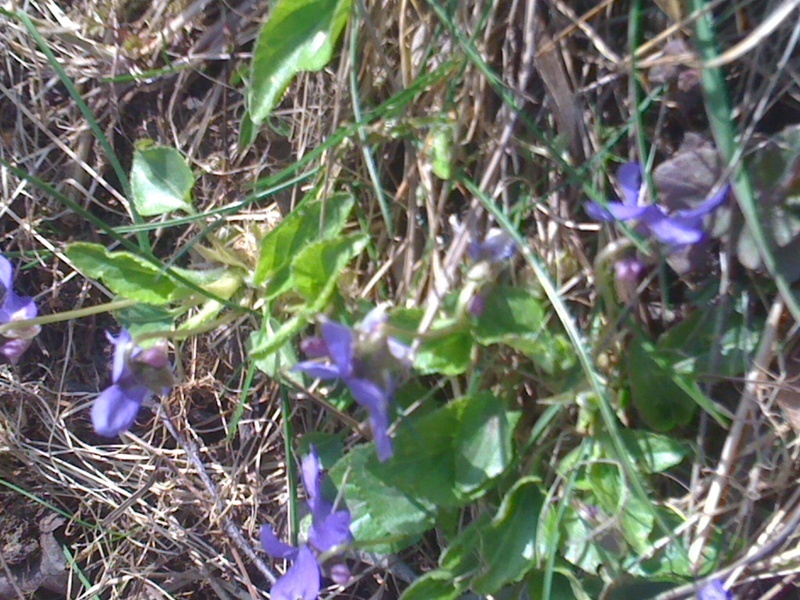 Violets,are very sweet scented and are found in pale lilac, deep purple and white , in springtime when they are a certain sign of warmer days to come. Here they were growing close to a lakes edge, through old dry grass, half hidden by longer grasses.